The new Facebook iPhone app adds the new Timeline layout mobile - iPad users will have to wait. 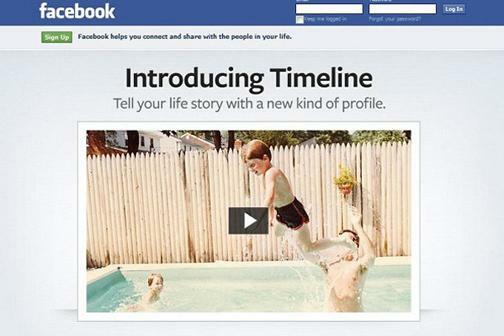 Facebook's new profile layout, Timeline, is designed to be a better way to "tell your life story." Timeline was supposed to roll out a few weeks after its September debut, but we still haven't seen it (in mass effect) as of early December. Facebook now lets iPhone owners view its new Timeline layout and has added several extra handy features in an app update pushed out to iPhone users on Sunday. iPad users still can't view Facebook Timeline layouts. Facebook launched its updated Android apps last week when Timeline was released. Facebook has already updated its Android mobile app with the layout. It's unclear why the iOS update was delayed until the weekend but possibilities include waiting for approval from Apple's app store and bug fixes. The Timeline layout was shown earlier this year at the company's f8 Conference. Timeline however isn't the only new feature added in 4.1. The new version of Facebook's app brings a lot of the new features that the social networking giant added over the last year to its mobile apps. You now have the ability to add and sort into Facebook's lists feature to help them organize their friends. It also adds the subscribe to page feature that the company added along with it's revamp of news feed. And, as originally reported byTechcrunch, the new app felt considerably faster than previous versions during my time with the app. This new iOS update leaves only the company's iPad app without the new Timeline layout. Facebook promised that an update for Apple's popular tablet is on the way.